Severe weather struck the plains of Colorado on Saturday spawning multiple tornadoes. The two most powerful of these, one near Wiggins and another near Wray, have been rated EF-2s on the Enhanced Fujita Scale. Damage and injuries from both twisters were relatively light, certainly not as bad as they could have been. The tornado west of Wiggins crossed I-76 and traveled nearly 9 miles reaching 3/4 of a mile wide at one point. It ripped through a private campground at Empire Reservoir damaging and destroying multiple RVs. There were some minor injuries with the storm. 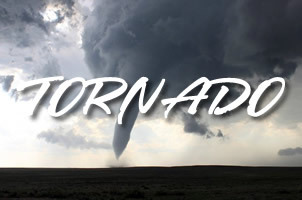 Further east, near Wray, multiple tornadoes were reported, the most significant of which damaged three residences and businesses near the town’s borders. It traveled about 8 miles and at its widest was 440 yards across. Three other tornadoes were confirmed near Wray although they caused no damage and were rated EF-0s. Below is some amazing video of the tornado near Wray. Scroll below that for the detailed damage survey from the National Weather Service. CAMPERS WERE DESTROYED AT EMPIRE RESERVOIR. MILE WIDE AT ITS PEAK. VIDEOS, WHICH ARE STILL ARRIVING INTO THE OFFICE. IMPACTED...MAJORITY OF TRACK WAS OVER OPEN COUNTRY. This entry was posted on Monday, May 9th, 2016 at 5:17am MDT and is filed under Colorado Weather, Severe Weather. You can follow any responses to this entry through the RSS 2.0 feed. You can skip to the end and leave a response. Pinging is currently not allowed.